Axe Cap suffers an attack at a crucial moment. Taylor considers going into business with an unexpected partner. Axe asks for Chuck's help. Chuck makes a bold move to advance his own career. 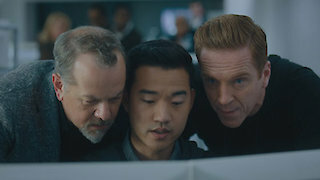 Billions, Season 4 Episode 4, is currently available to watch and stream on SHOWTIME. You can also buy, rent Billions on demand at Showtime, Amazon Prime, Hulu, FuboTV, Sling, Showtime Anytime online.